The blog here is just to make your search easy and is focused on ensuring true and factual information regarding various selected top Samsung smartphones that are currently available in the Indian market in 2018. Samsung is one of the best leading smartphone providers in India. But, with a wide number of choices currently available from the firm under various price bands, you are only limited by your budget. 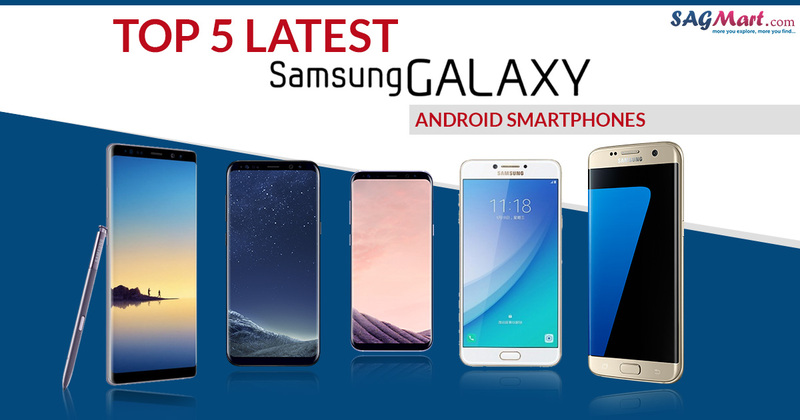 So, here list is made includes best 5 Samsung smartphones that have amazing components, good quality, and mind-blowing feature. 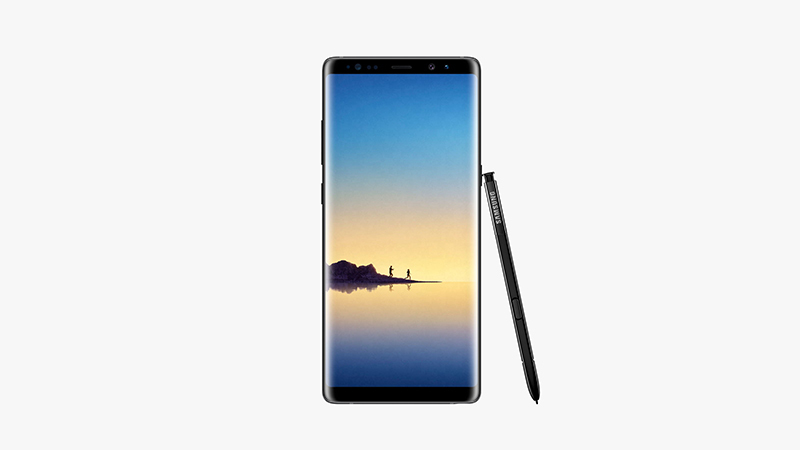 Samsung Galaxy Note 8 smartphone was launched in August 2017. The phone comes with a 6.30-inch touchscreen display with a resolution of 1440 pixels by 2960 pixels. Samsung Galaxy Note 8 price in India starts from Rs. 67,900. The device is powered by 2.3 GHz Octa-core Exynos 8895 processor and runs on 6 GB of RAM. The smartphone packs a 64GB of inbuilt space that can be expanded up to 256GB via a microSD card. The Galaxy Note 8 offers a 12MP primary camera on the rear and an 8-megapixel front shooter for selfies. There is a Non-removable Li-Ion 3300 mAh Battery powering the device with support for 4G VoLTE, 3G, NFC, Bluetooth v5.0, USB Type-C, Wi-Fi a/b/g/n/ac options. The Samsung Galaxy S8 is available in the price tag of Rs. 53,900 in the Indian market. The smartphone comes with a 5.8-inch QHD+, Super AMOLED capacitive (1440×2960 pixels) touchscreen display. It has been powered by a 1.9GHz octa-core Samsung Exynos 8895 processor and it comes with 4GB of RAM. The phone offers 64GB internal storage, expandable up to 256GB using microSD card. On the camera front, Samsung Galaxy S8 packs a 12-megapixel ‘Dual Pixel’ rear cameras with optical image stabilization and an 8-megapixel front shooter for selfies. The device runs on latest Android 7.0 Nougat and is powered by a 3000mAh removable battery. On the Connectivity front, Wi-Fi, GPS, Bluetooth, NFC, 3G, and 4G. Samsung Galaxy S8+ smartphone was launched in 2017. The device comes with the fingerprint scanner at the back and has a 6.2-inch Infinity display with a resolution of 1440×2960 pixels. It is powered by a 1.9GHz octa-core Samsung Exynos 8895 processor with 4GB of RAM. The handset packs a 64GB internal memory that can be expanded up to 256GB via a microSD card. 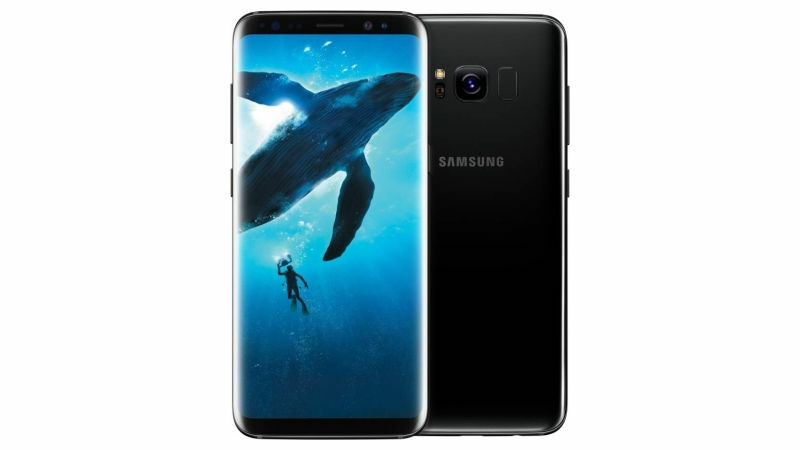 The Samsung Galaxy S8+ offers a 3500mAh non-removable battery along with the 12-megapixel ‘Dual Pixel’ rear cameras and 8-megapixel front shooter for selfies. The smartphone runs Android 7.0 Nougat. On the connectivity front, it includes Wi-Fi, GPS, Bluetooth, NFC, USB OTG, 3G, and 4G LTE. Top sensors on the smartphone include the Compass Magnetometer, Proximity sensor, Accelerometer, Ambient light sensor, Gyroscope, and Barometer. 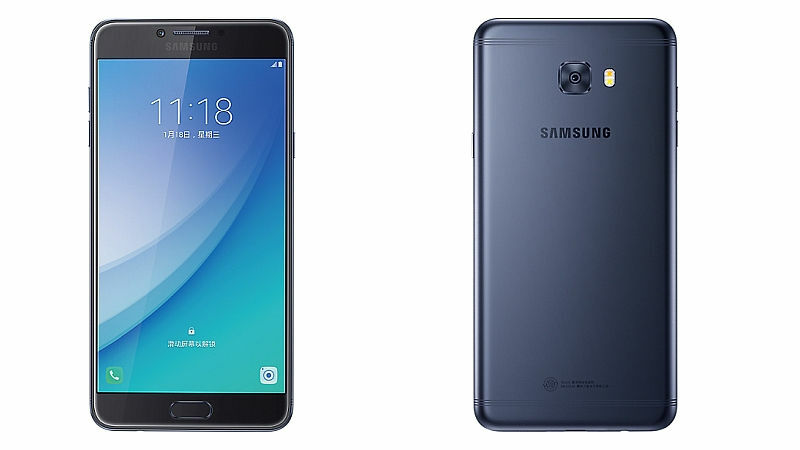 Samsung Galaxy C7 Pro phone was launched in 2017. The device comes with a 5.7-inch full-HD (1080×1920 pixels) Super AMOLED 2.5D Curved Glass display and Corning Gorilla Glass 4 protection. The smartphone is powered by 2.2GHz Octa-core processor and it comes with 4GB of RAM. The Galaxy C7 Pro packs 64GB of internal storage, expandable up to 256GB via microSD card.The handset runs on Android v6.0 Marshmallow and is powered by a 3300mAh non-removable battery. On the connectivity front, Wi-Fi, GPS, Bluetooth, NFC, USB OTG, Headphones, 3G, and 4G. The top sensors on the device include Compass Magnetometer, Proximity sensor, Accelerometer, Ambient light sensor and Gyroscope. The Samsung Galaxy S7 Edge Android smartphone features a 5.5-inch Super AMOLED QHD display with a resolution of 1440 X 2560 pixels. The phone is available with a price tag of Rs 49,999. 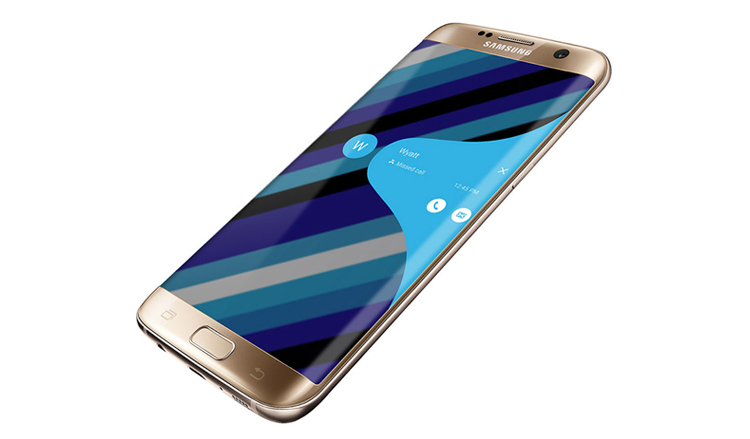 The Samsung Galaxy S7 Edge is a dual SIM smartphone. It is powered by a 2.3GHz |1.6GHz Octa-core processor and has 4GB of RAM. The device sports a 32GB of internal storage that can be expanded up to 200GB via a microSD card. The handset packs 12-megapixel primary camera on the rear and a 5-megapixel front shooter for selfies. The phone connectivity options include Wi-Fi, GPS, Bluetooth, NFC, USB OTG, 3G, and 4G. The top Sensors on the device include a Compass Magnetometer, Proximity sensor, Accelerometer, Ambient light sensor, Gyroscope, and Barometer.